Technology has expanded at such a rate that nearly every aspect of our world has been affected — yet there has been no corresponding expansion of personal happiness. 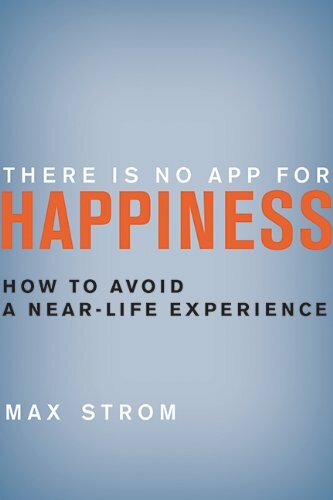 Teacher, speaker, and author of A Life Worth Breathing, Max Strom is known for inspiring and positively impacting the lives of his students and readers, and he has become a new voice of personal transformation. Due to an ever-increasing demand for his teachings, Mr. Strom travels extensively teaching and lecturing on transformation, spirituality, and yoga. His system guides us to live the daily experience of a meaningful life and includes a philosophy for living, self-inquiry, breath-work, yoga postures, and meditation. His book A Life Worth Breathing is available in five languages. Max Strom has been the keynote speaker at numerous conferences and forums. Among his 2011 and 2012 speaking appearances were two TEDx events, and a keynote speech on ethics in business at the Lu Lu Lemon management conference. His articles and interviews have appeared in The Utne Reader, Huffington Post, Whole Living, Happinez, Yoga Journal (USA), Yoga Journal (DE), New York Times, and other online and print media.